STRIKE SPARKS: The Bison flint strikers can be used to throw hot sparks when struck by flint. 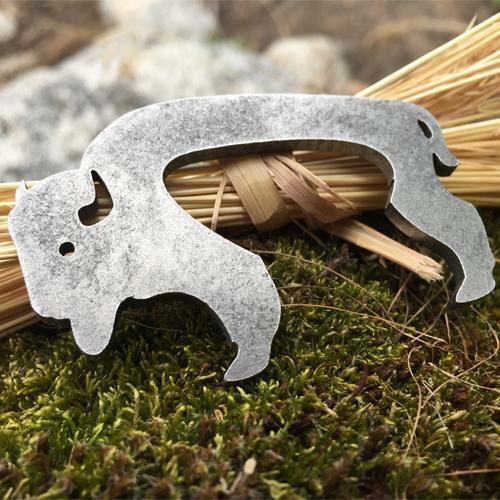 Use the striker as a neckless or a keychain for everyday carry. SPECIFICATIONS: Weight 25 g, Width 4,15 cm, Length 6,43 cm, Height 0,32 cm.